It was part of the plant's assembly line crossing East Grand Boulevard. If you’ve seen photos or videos of dilapidated factories from Detroit in the last 30 years or so, the odds are good it was the old Packard plant. Located just a few miles north of downtown near GM’s Hamtramck assembly plant, the ruins of the once-great factory came to represent the decline of the Motor City. Today, the iconic bridge spanning East Grand Boulevard – which once connected the assembly line between the north and south buildings – collapsed onto the roadway. Thankfully, nobody was injured, but the failure was particularly hard for our good friends at Motor1.com. That's because they spent a few years literally working right next door to it. Here’s a bit of backstory on this utterly ruined, yet remarkable factory. Construction began shortly after the turn of the century – as in the 20th century – and the facility officially opened in 1911. At the time it was nothing short of an engineering marvel, and it remained a beacon of the Motor City for decades. 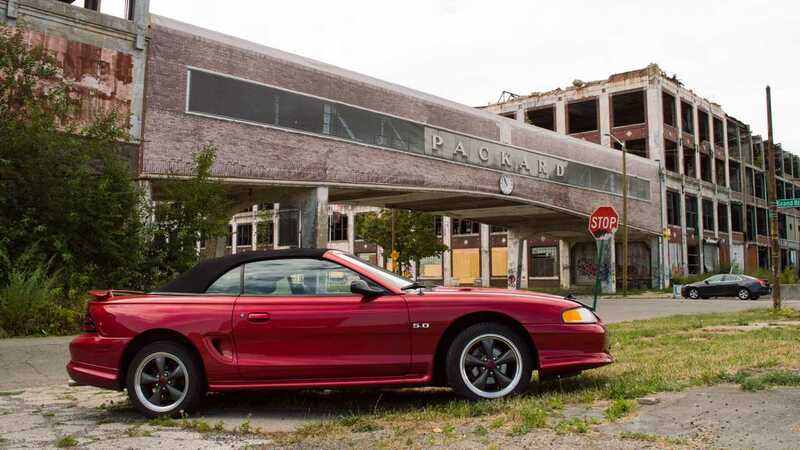 It closed with Packard’s demise in 1958, and though a few companies remained in the complex through 2010 (using it primarily for storage) the factory itself was simply left to the elements for 60 years. Eventually the scavengers came, then the vandals, the graffiti artists, the ravers, and in a strange way, the old factory evolved to become a strange kind of urban symbol for the resilience of Detroit – the city and its people. Beaten, broken, but still standing. View of the Packard plant from Motor1's old Detroit office, including a "platform to nowhere" that connected the office building directly to the plant. For the longest time, the bridge over East Grand Boulevard was an open framework ravaged by time. As developers began to take interest in repurposing the site, large wraps showing the bridge as it was during its golden years were installed on either side. 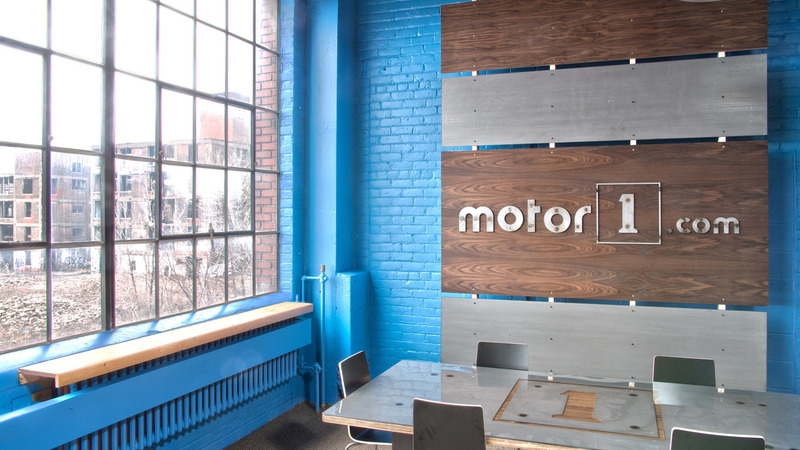 Motor1.com’s Detroit office was located in an office building next to the factory, and every single day they'd pass under the bridge. In fact, many auto journalists and motoring enthusiasts have passed beneath that bridge, including the former Top Gear trio of Clarkson, Hammond, and May. If you’re an Amazon Prime subscriber and fan of the presenters, you saw the bridge just last week on the season 3 premiere of The Grand Tour. 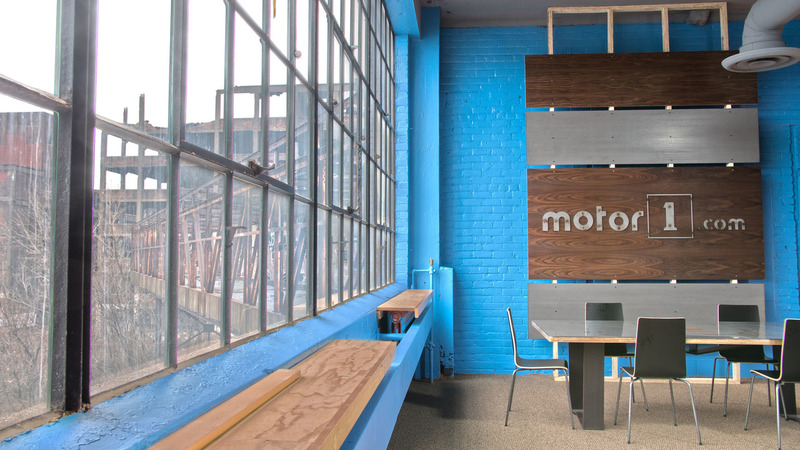 The bridge circa 2016, during the early days of Motor1.com. Photo by Christopher Smith. After decades of neglect, ambitious plans to completely renovate the old plant are underway. At least, they’re supposed to be underway. The historic facility has seen plenty of would-be investors with “big plans” come and go over the last 20 years, but some progress is being made. Arte Express purchased the property in 2013 and clean-up of the area is ongoing as part of the Packard Plant Project. New development, however, hasn’t transpired yet.